If you’re seeking a safe and sound way to enhance your appearance, Dental Smiles is an excellent place to start. With a talented dentist, offering the foremost cosmetic dentistry services for your smile, their office is equipped to provide you with the best that modern dentistry has to offer. 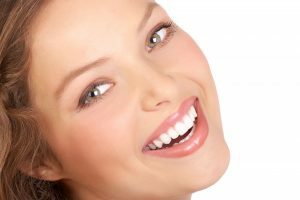 Providing a sweeping range of cosmetic treatment options, from the highest quality restorations for your smile, to professional teeth whitening, and complete smile makeovers with porcelain dental veneers, your cosmetic dentist in Austin is available to help reestablish the health and beauty of your smile. Emphasizing a patient-oriented approach to oral care, Dr. Shetty will work closely with you to find the healthiest and most suitable options for revitalizing your smile. Your cosmetic dentist in Austin is equipped to touch up any imperfections you may have in your smile. If you have minor chips, spacing, or discoloration, porcelain dental veneers can address each of these issues, transforming the esthetic of your smile to a work of near-perfection! Ingeniously designed to overlay the treated fronts of your natural teeth, veneers act as a new façade for your smile. Super-thin, and permanently bonded in place, veneers allow you to retain the health benefits of your natural teeth while masking their imperfections. Completely customizable in color, shape, and proportion, porcelain veneers are arrestingly lifelike, and can do wonders for your smile. Once bonded to your healthy teeth, they’re extremely durable and stain-resistant. To make your smile more beautiful, consider visiting Dental Smiles, your source for a highly-skilled, experienced cosmetic dentist in Austin who combines the art and science of cosmetic dentistry. Providing the finest quality in cosmetic and general dental care, their talented dentist takes the time to listen to her patients, and thoroughly discuss the best cosmetic plan for you as an individual, including the enhancement dental veneers may provide. To schedule an appointment at our state-of-the-art facility, call Dental Smiles at the number listed below.